This book will give you a sugary nostalgic high! One aspect of the American pop culture experience that I find endlessly intriguing is how certain portions of it so completely subvert class, race, religion, and creed. It’s hard these days to pin down someone’s race or religious beliefs based solely on the music they listen to, or the video games they play. We’re becoming more and more eclectic as a nation, but the foundations of this cultural oneness has been steadily built over the last century with some unlikely materials. If I had to point to one thing that ties most Americans together it would have to involve food as it’s something we all need. Through the lens of pop culture, it’s the brands that stand out, the merchandising, packaging, and promotion that we are attracted to and hold dear. One product over all else really shines through this lens, and is not only an important part of our shared pop culture experience, but also a very important part of one’s daily breakfast, Cereal! It’s sugary, sweet, fruity, colorful, corny, wheaty, full of rice, oats, and the occasional marshmallow marbits. It provides fiber, iron, whole grains, and most importantly for those seeking to break through the walls of the time-space continuum, high levels of riboflavin. Through over a century of ad campaigns, commercials, and cool prizes we’ve all been influenced by breakfast cereal, and now writers Marty Gitlin & Topher Ellis have taken a shot at condensing this shared snap, crackle, and pop culture experience into The Great American Cereal Book. 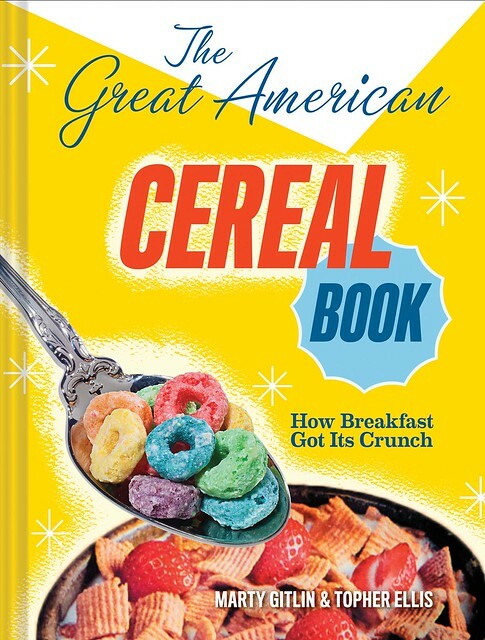 Published by Abrams (for a February 1st release), this beautiful volume chronicles America’s favorite breakfast food with a semi-chronological listing of ready-to-eat cereals from seven of the largest manufacturers of the last century including General Mills, Kellogg’s, Nabisco, Nestle, Post, the Quaker Oats Company, and Ralston. 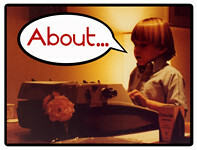 Each product listed features some vital statistics including a description, when it was introduced and/or discontinued, the various popular slogans, characters and endorsements associated with it, as well as various tidbits and trivia. The book is also heavily illustrated with beautiful color photos of many of the more popular and eclectic varieties. Breaking up the timeline of sweet crunchy nostalgia are a bevy of lists, essays and mascot profiles including a glimpse into the development of characters such as Cap’n Crunch and the Trix rabbit. Abrams really has their finger on the pulse of nostalgia when it comes to their line of books aimed at pop culture fans, whether it’s their inventive layout and design of their “vault” editions (like the World of the Smurfs and the Transformers Vault), or their stunning art books (like Wacky Packages, More Wacky Packages, and the upcoming Garbage Pail Kids book.) The Great American Cereal Book is a fine addition to their lineup and would fit nicely on anyone’s shelf or coffee table who grew up glued to the television on Saturday mornings watching cartoons and slurping up a huge bowl of Cap’n Crunch or Fruit Loops. NextBoys, Avenge Me, AVENGE ME! OMFG! is pretty darn rad! Wax Paper Pop Art #15: Trippin’ through Ohio with the McDonaldland Gang!